When designing or purchasing a custom closet organizer, it’s a good idea to be prepared for the questions your professional closet designer may ask about your wants, needs, and expectations. Knowing what you’re looking for ahead of time will help your closet designer work with you to create a solution you’ll love. 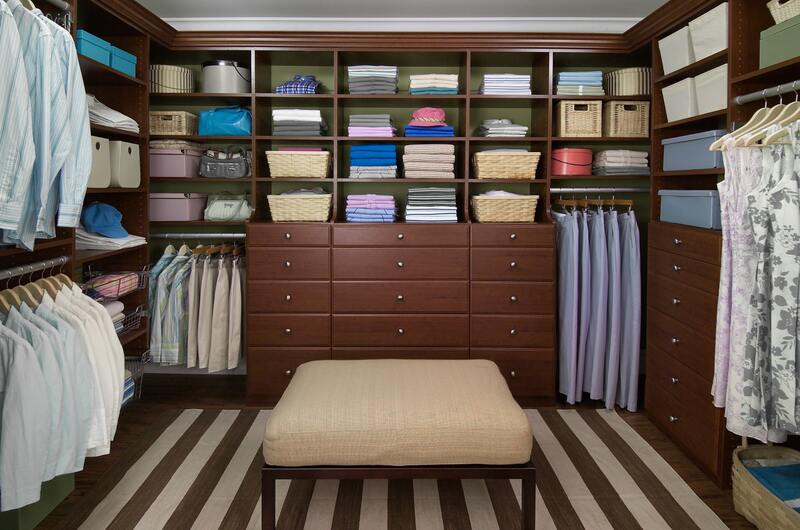 Here are 10 common questions you might hear during a closet design consultation. 1 - What are you looking for in a closet organizer? Whether you want to upgrade from an inefficient wire closet system to a more functional custom closet solution, you need to optimize storage space in a newly-built or older home, or you’re just wishing for a closet system that is more aesthetically pleasing, it’s important to share your goals so your closet designer can understand your needs. If you’re planning to downsize or you’re interested in eliminating bedroom furniture, your closet designer can explain how your new closet system can maximize storage space or open up room in other areas of your home. 2 - What other storage solutions have you tried, and what was your experience? Your new closet organizer should be a step up from what you have today, so feel free to tell your designer what parts of your current organizing system work well for you and what you’ve struggled with in the past. Your answers will help shape a wish list of the storage features and functions to include in your new closet design plan. 3 - How do you plan to use the closet space? Is this going to be your own personal space, or will you be sharing it? If you’re planning a his-and-hers closet, you’ll want to think about how much space each person will need. Your designer may recommend splitting the closet into two distinct sections, one for each of you, to accommodate different storage needs related to the size or quantity of your items. If you want to use your closet for off-season storage or keeping large, bulky items like extra pillows or suitcases, it might also influence your design. 4 - What are your closet storage and style needs? How many shoes do you want to store in your closet? How many hanging and folded items should your closet accommodate? Do you want drawers to create a dresser inside your closet? Would you like floor-based units and decorative crown molding added to create a finished, built-in look? What styles and colors speak to you? The answers to these questions will help a designer personalize your custom closet to work with your space, lifestyle, and budget. 5 - What are the dimensions of your space? Take time to measure your space carefully and provide these dimensions so your closet designer can create a solution to fit your exact space. If you’d like to explore closet ideas and pricing before working with a designer, you can enter these dimensions into the EasyClosets online design tool and experiment with your options. Be sure to inform your designer about any obstacles such as windows, doors, or outlets that will need to be designed around. A professional closet designer knows how to make the most out of any space to optimize storage, no matter the size or shape. 6 - What is the budget for your custom closet? While you are working on a wish list for your custom closet, you’ll also want to determine a budget. Let your closet designer know how much you’re planning on spending so the finished project will suit both your design needs and your wallet. With EasyClosets online design tool, you (or your designer) can make modifications to your design and see the price updates instantly, making it simple to plan within your budget if needed. 7 - Are you considering other closet organization companies? To ensure you’re getting the best quality and service for a good price, it’s possible that you’re shopping around and comparing products and companies. When you talk with your closet designer, ask them to explain the differences and why the solution they offer will best accommodate your needs. Customer reviews on sites such as Yelp or Facebook can also be a valuable resource. 8 - Are you planning on installing the closet system yourself or having a professional do it for you? While you might think you need a professional to create your dream closet, you can get a custom-made closet system without having a stranger come into your home. When you work with EasyClosets, the product is shipped to your home and comes cut-to-size for easy DIY installation. And, you’ll be able to save money by installing your custom closet yourself. If you don’t have time to do the closet system installation but you still want to design and buy direct, then consider hiring a handyman or remodeler to do the installation for you. 9 - When do you want the project completed? Your timeline could determine which type of custom closet solution will work best for you. Do you want your closet installed within 1-2 weeks, or can you wait 1-2 months or longer? A local closet company or home remodeler may take a month or longer to complete the project, depending on their availability. With a DIY custom closet system, you’re in control of the project timing. You’ll get fast, expert design creation or design advice from a professional EasyClosets designer, and quick manufacturing of your custom system. 10 - What are your plans for the future? Need mostly shelving and hanging storage now, but later you want drawers and baskets? No problem! You can start with the essentials and easily add or refine your closet organization system as your needs change. 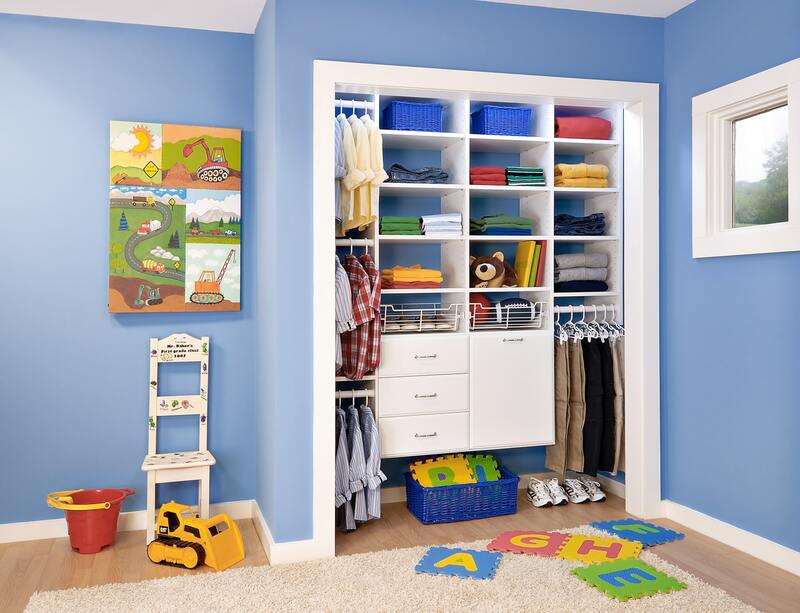 If the closet is for a child’s bedroom, ask your closet designer how the organization system can adapt as the child grows. A versatile closet organization system makes it simple to add on or make adjustments when the time (and budget) is right. By sharing these thoughts with your closet designer, you’ll create a solid foundation of information that will lead to a successful project.